TAKAFUJI CO., LTD. in Tatebayashi-shi, Gunma Prefecture / Interior Construction, Water-related Renovations, Solar Power Generation, Etc. Converting to all electric means that you will not use energy such as city gas, propane gas, and kerosene, and that all of your in-home energy needs will be met by electricity. Only Takafuji can provide a comprehensive package together with Ohisama Port (solar carport) and storage battery solar power generation systems. Without the use of gas, and your electricity usage being powered by solar power generation, you will embark on a very economical and safe lifestyle. Our company works on detached building renovations, and we are sure that you will be delighted with our unique flexible response, speedy work, and exquisite finishes. One often cited critique of all electric is that the use of electricity during the day is expensive, however this issue can be resolved through the introduction of EcoCute and a storage battery. 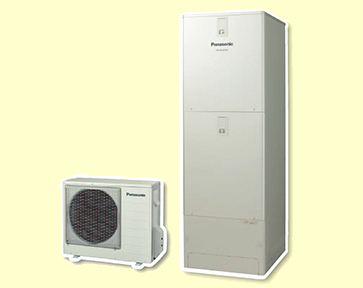 Be sure to take advantage of the comfortable lifestyle afforded by Takafuji's conversion to all electric service. IH cooking heaters are a kind of cooking equipment that uses IH (electromagnetic induction heating) technology. Its features are that as it does not use a gas flame, it does not contaminate the air within the room, and also that it is very safe. 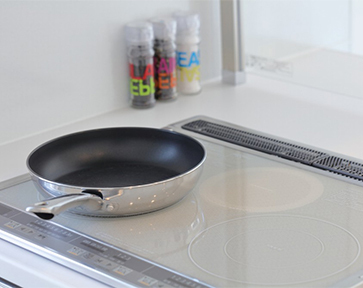 In addition, as it has a flat surface unlike a gas stove, it is easy to clean. IH cooking heaters have superior thermal efficiency, and even though the volume of heat is lower than a general gas stove, the output is the same, and so IH cooking heaters are able to cook at the same thermal power as gas. It is simple to set temperatures on an IH heater, and so it is easy to expertly cook fried foods, simmered foods, and grilled foods. EcoCute is a household hot water system that uses technology called a "heat pump" to boil water using the heat of external air. It can produce thermal energy approximately 3x that of the electric power used, and boils water using an outdoor machine at night, when electricity is cheaper; this alongside its mechanism for storing hot water in a tank means that energy savings of approximately 30% can be enjoyed compared to conventional heating systems. The household energy saving of around 30% refers to that for hot water supply, and the system can reduce costs to one quarter of the running costs of a gas heater. we provide "high quality finishes and the minimum required plans" to our customers with confidence. Feel free to contact TAKAFUJI CO., LTD., with any questions, etc., you have about all kinds of construction work! We operate in Tokyo and the surrounding areas (Saitama Prefecture / Tokyo-to / Chiba Prefecture / Ibaraki Prefecture / Tochigi Prefecture), with a focus on Gunma Prefecture. *Please consult with us if you are outside these areas. Copyright © TAKAFUJI. All Rights Reserved.